Tomorrow, the 5th of September, a ‘flower day’, in accordance with the bio-dynamic calendar we will begin the harvest and we cannot deny a certain emotion in bringing home the fruits of our labour. This vintage will be remembered for the lack of rainfall; for the unnatural cold snap in mid April that caused much frost damage in certain areas of the vineyard; for the incessant heat, that challenged also our resistance. We have worked and tended this earth with the utmost respect, seeking to listen and to adapt to the needs of the moment through timely management of the soil and the eco-system of the vine, without ever forcing our hand; the light leaf cover has allowed the grapes a shield against the searing sun created by the weaving of the sprouting stems and foliage, thus respecting the natural balance of the vine and avoiding further trauma to the grapes considering the very high temperatures. 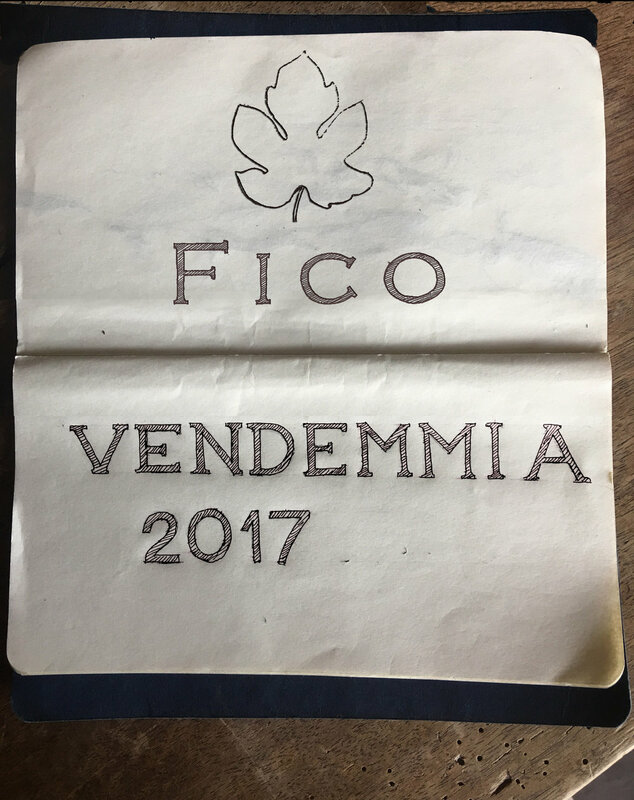 We have constantly tasted the grapes throughout and we are now sure that the characteristics in the fruit that distinguish Fico have arrived. For this reason we are getting ready for the harvest, the ‘ vendemmia', a further adventure in the transformation and the evolution of our beloved grapes. p.s. since January 250 mm of rain was recorded here at Le Corti. In a full year, from our records, the rainfall usually averages 850 mm.